have you bored to sign-up new GMail accounts and seeing this massage every time in your inbox “Thank you for creating an account. To activate your new account, please access your email and click the verification URL provided.”. your problem is solved now,you can easily sign-up in google products like GMail,google docs,AdWords,reader etc with your yahoo or hotmail id.because now google used openid which supported by several email providers like yahoo,hotmail etc. 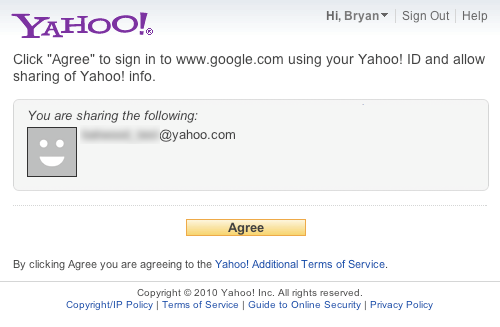 now this page redirect you to your yahoo and that page take agreement from you to sign-in in google using yahoo id or not.